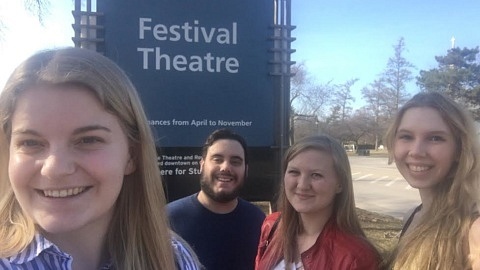 One of the best parts about covering the St. Catharines theatre scene is being able to see both the germination of a production and the work of friends and colleagues at the same time. When Essential Collective Theatre popped up on Facebook with a new show titled Senior Stories and a list of senior citizens homes they were touring it to, I had to find out what was going on. Artistic director Monica Default met with me at Mahtay Café on Sunday to discuss her newest project in cooperation with the Niagara Investment in Culture Program. Our chat was fun and informative, and full of shout-outs to former and current DARTcritics, including actors Alex Franks, Emily Ferrier, and Raylene Turner, and designer Hayley Malouin. Nick: Can you tell me about how this project got started? Monica: I first thought about doing this when I took over as artistic director. 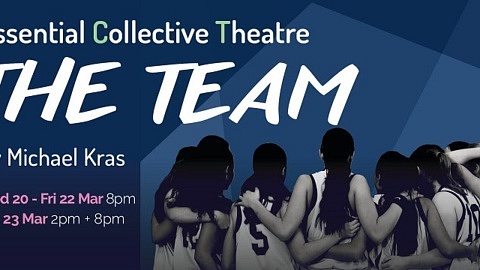 I wanted to offer post-secondary students an opportunity to bring their training into a community setting and create a piece of theatre that had a connection to the region. I’ve always been interested in trying to reach out to the seniors of the region; I feel they are underserved. I thought of this project and the Niagara Investment in Culture Program funded it quite generously. We were able to hire five students for a nine week span. The process has two phases. The first phase was going into the seniors’ long term care facilities and interviewing people about their lives; we put together a set of questions that we would hang the interview on. Some of the questions we asked were things like “Where did you grow up?” “How did you end up in the Niagara region?” A lot of the stories were centred on the ’40s and early ’50s. We found some common themes: stories of separation, stories of people coming together, and stories of people starting anew in the Niagara region. The second phase was creating the play. From those stories we pulled themes and ideas and invented four characters that are loosely based on four stories. The process of writing has been improv, writing that into a scene, and revise and edit. I guess I’m acting as dramaturg-head writer. We have a play now! Monica: Our first performance is June 22. We have 32 performances booked; we will be doing a lot of traveling. There will be four public shows – the first is at the Courthouse on the 25 of June at 7:00pm. We are offering all of these performances at no charge, which is exciting. Nick: What are the logistics of touring to long-term care facilities? Monica: That’s what we are going to find out. We visited them in the interview process, so we’ve had a chance to see the space. We are limiting ourselves to a 14×14 playing space. We’re touring with a few folding chairs and a small sound system; that’s pretty much it. And some costumes. I’ve never made a show for seniors specifically. I have a lot of experience doing theatre for young audiences. The same principles apply: directly address the audience. Rather than having a fourth wall, you need to engage and involve the audience. To that end, the show has a soft opening, where we interact with the seniors as they enter the room. It’s not cynical, it’s not sarcastic – it’s very earnest, and it’s sincere. The perspective I wanted to take is one of nostalgia. We are drawing on stories that people have given us, and were really generous to do so. We want to honour that and respect that. We use the music of their period, 1939 to 1945; it’s Glenn Miller, big band kind of stuff. Everything culminates into a song that people will join in on… hopefully. Nick: What has the process been like, of converting these raw stories into a dramatic piece? You mentioned the company used improvisation? Monica: We started out by taking the interviews and creating a set of monologues; [I said] “Pick your favourite three to four interviews and create a monologue based on those.” That was an early exercise, and of those very little has made it into our show. But the monologues gave us a way in, to create personas out of the interviews. It’s been fairly organic. We had the interviews: that was our raw material so that’s where we started. I brought in children’s games as well, because I wanted an element of what it is like when you were kid in the show. The music of the ’30s and ’40s has been a big influence. Nick: How do you decide what stays and what goes? Is it a company decision? Monica: Early on yes, but now it’s up to the director’s eyes. I’m trying to evoke a certain sensibility that if you watched films from the ’30s and ’40s: the dialogue is simple; there’s a romantic plot line. The actors that I ended up hiring seem to have a certain affinity for things like dance, music, and comedy. That informs the work as well. Nick: Did anything inspire you to come up with this idea? You said you’ve wanted to do it for a while. Monica: I suppose my own grandparents. My great-grandfather, who was a fantastic story teller, lived to tell stories. When I was a kid visiting his farm in northern Alberta he would tell stories about when he was a young man, and I remember that. My grandmother too when I was in my 20s would tell me stories about when she was a young woman. I’m trying to bring together young people and seniors and allow them to discover each other. They rarely get to spend time together. The people who were involved in the interviews were really excited to have us there. The staff of the facilities also seemed to appreciate our presence. I’m hoping to apply for funding again next year and do another iteration of the piece. Nick: Anything else you want us to know about the show? Nick: That sounds like an interesting show. I can’t wait to see it. 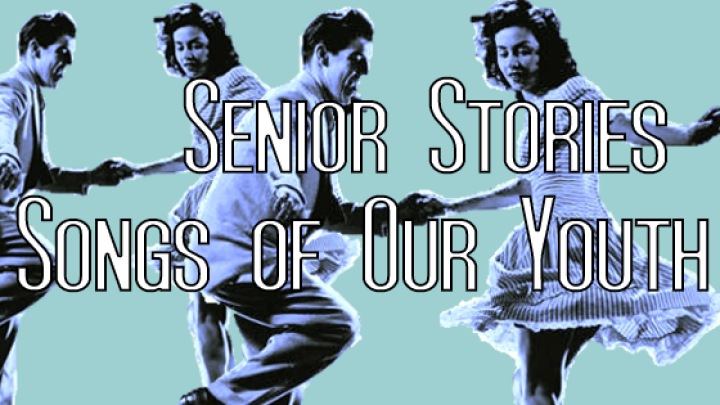 Senior Stories: Songs of our Youth has its first public performance on June 25th at 7pm in the Sullivan Mahoney Courthouse.